Copyright, 1895, by The S. Brainard's Sons Co. 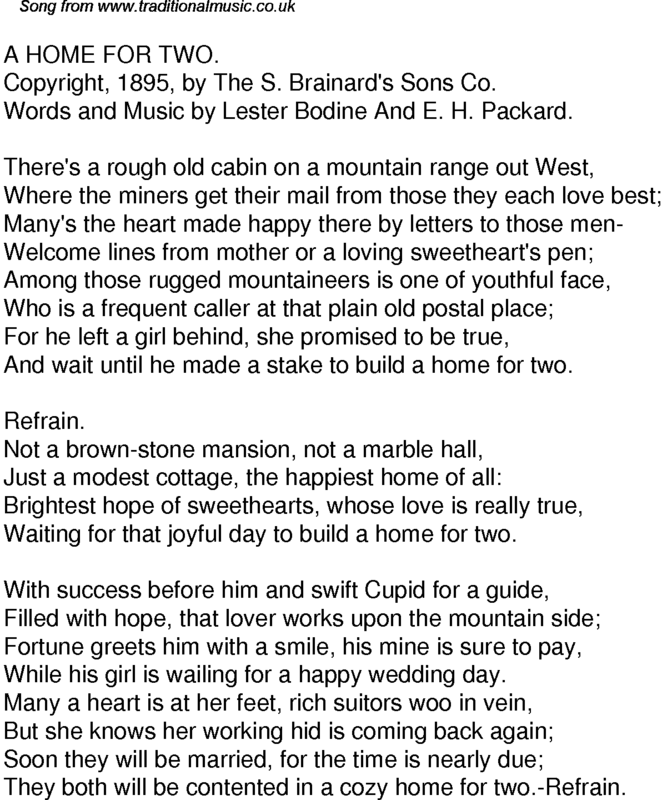 Words and Music by Lester Bodine And E. H. Packard. And wait until he made a stake to build a home for two. Waiting for that joyful day to build a home for two. While his girl is wailing for a happy wedding day. They both will be contented in a cozy home for two.-Refrain.